This week we'll take a break from dungeons and spend some time with the Constructs, the broken bits of Maker architecture that come to life and hit you with stuff. 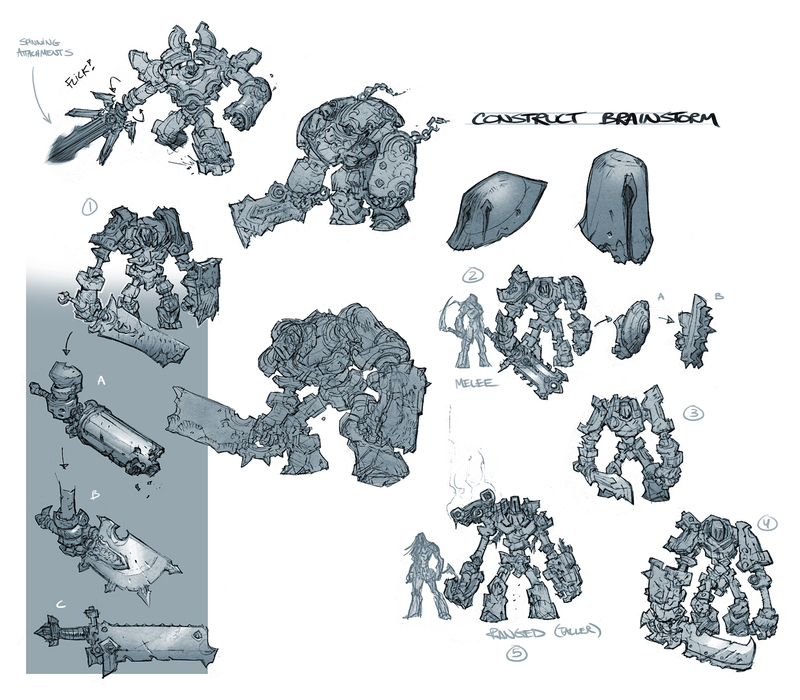 This page riffed off some of Joe's drawings, but introduced a few new body and weapon types. The Powers That Be must have really liked the broken pillar weapon (A), because that wound up in the game. Look, mom, I'm helping!